So you’ve just had a new door installed in your home and you now need to install Interior Door Trim. You’re thinking this is a project that you would like to do yourself, but not quite sure how to go about it. Well HomeAdditionPlus.com has come to your aid. The Installing Interior Door Trim Ebook provides easy to understand, step-by-step instructions, on how to install interior door trim. Pictures are included for every key step in the process! Order Now and Immediately Download the Installing Interior Door Trim EBook today! 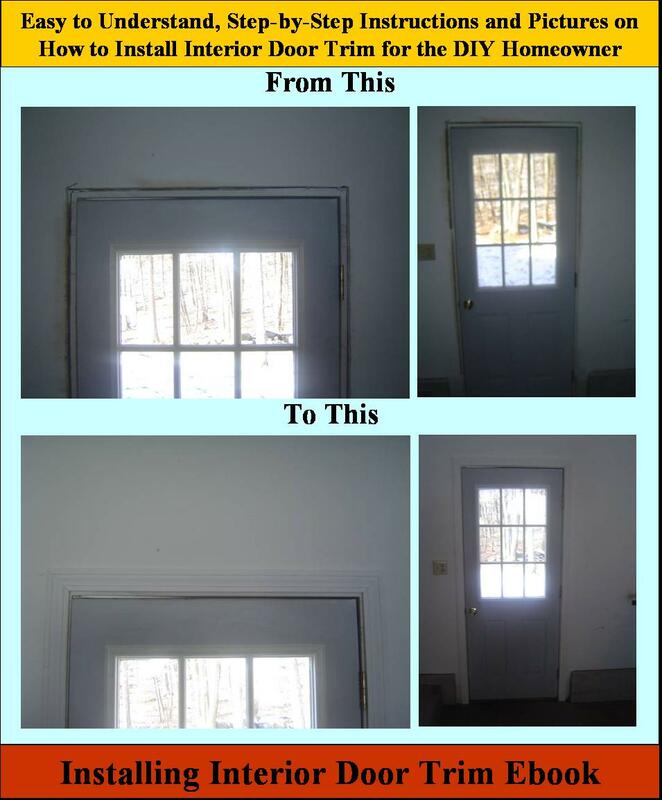 The Installing Interior Door Trim EBook costs only $15 and is 100% guaranteed. 100% Guaranteed or your Money Back!! Reduce Risk and Save yourself Time and Money! Get Complete and Easy Step-by-Step Instructions! The immediately downloadable Acrobat PDF format file can be viewed with free Acrobat Adobe Reader software, once we have received payment. You can make as many copies as you need for your project. Order Now: HomeAdditionPlus accepts Paypal and Credit Cards. Please provide your email address to: webmaster@homeadditionplus.com if paying by Money order or Cashier Check for additional ordering instructions. About the Author: Mark Donovan was a contributing writer to the Weirs Times, a state wide newspaper in New Hampshire. He has also written hundreds of articles on home improvement projects, and his Vacation Home Project was featured on the DIY Network’s Be Your Own Contractor Vacation Home Series in 2005. Over the past 25+ years Mark Donovan has been involved with building homes and home additions. His projects have included: building a vacation home, building additions and garages on to existing homes, and finishing unfinished homes. If you are unsatisfied with this EBook email us and we will issue you a complete refund, no questions asked.